What does the phrase “oral health” mean to you? No new cavities at your dental checkup? That's certainly part of it. But it's really so much more than a lack of tooth decay. Good oral health means a mouth that's free of disease — which can range all the way from mild gingivitis (gum inflammation) to oral cancer; a bite that functions well enough for you to eat without pain and get ample nutrition; and a smile that lets you express your happiest emotions with confidence. Simply put, oral health is a crucial component of your overall health and well-being. It's important to realize that small — and readily treatable — problems in your mouth can become more complicated, painful and expensive if neglected for too long. Some of these oral health conditions may even have ramifications throughout the whole body. 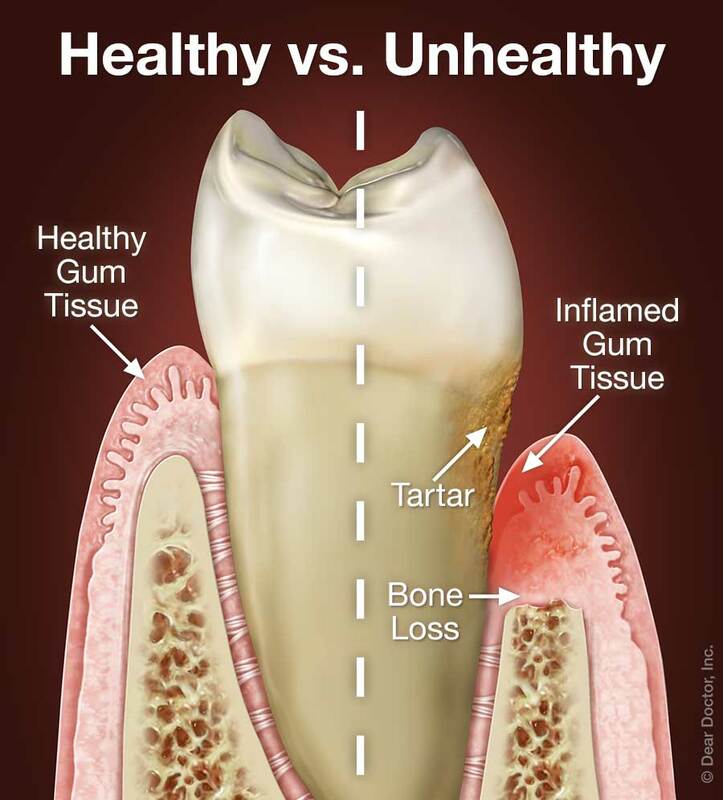 Gingivitis, for example, can sometimes progress to periodontitis — a more serious form of gum disease that can loosen teeth and cause them to fall out. Missing teeth can lead to bone loss in the jaw and inadequate nutrition. And numerous studies have shown that people with severe gum disease may be at increased risk for developing cardiovascular disease. The moral of this story: Routine maintenance can pay off big. Nutrition and lifestyle choices also play an important role. You don't have any control over hereditary factors that may predispose you to gum disease — but you do have control over how much sugar you eat and when you eat it; how often you exercise; whether you smoke; and how often you visit the dentist.